The Indian Army organized recruitments for Indian youths in the month of May 2013. The Recruitment rally will be held from 16th may to 19th may 2013 for three days in the Army cantonment Ranikhet. Interested candidates may be joining the recruitments rally on above given dates. HNB Garhwal University release the dates of B.Ed (Bachelor of Education) entrance exam 2013 for the new session. Yesterday the notification was released by University. Below I am giving all the detail of Exams and where you can take the entrance exam forms. The opening date of Kedarnath Dham is 16th May 2013. 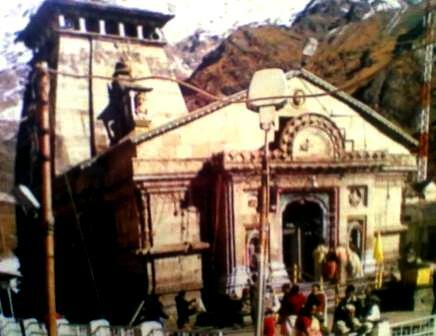 Kedarnath is one of the Char- Dhams in Uttarakhand. Kedarnath is located at the elevation of 3584mts from the sea level. Every year there are so many tourists are visit this temple. Kedarnath is not connected with roads transport. So visitor have to take Pony, Palki and another option is Helicopter. Kedarnath is 14km trekking route from Gaurikund. Read more about Kedarnath. Auli is one of the most popular skiing destinations in India. It is situated in the Chamoli Garhwal district of Uttarakhand State. It is located at the elevation of 2519 to 3049 mts from the sea level. Auli offers the best skiing place to the visitors. Auli is a Meadow and in the regional language it is known as “Bugyal”. Auli is also going to SAF winter games from 2010. Auli is covered with many of himalayan mountains range. You can see the amazing view of mountains range from the Auli. The Slopes of Auli provides enough thrills and excited feeling to professional skier and tourists. Auli provides the various ranges of Mountain Nanda Devi, Mana Mountain and the Kamat Mountains. The Panch Prayag are the most five sacred places where the five most rivers are meets with each others. The Panch means five and Prayags means meeting of most sacred rivers or confluence. The Panch Prayags are Devprayag, Rudraprayag, Karanprayag, Nandprayag and Vishnu Prayag and after came from the all Prayags the river becomes holy river Ganga. Below I am giving all the details of These Prayags. Nainital is a wonderful place and a hidden surprise; it is one of the most beautiful place and holiday resort in the world. The Naini Lake in the town offers an enjoyable boating experience to many of visitors and tourists. Nainital is an awesome hill station in the Kumaon Region of Uttarakhand state. Nainital is situated at the elevation of 1938 mts from the sea level. This city is always glorious for honeymoon couples and this place is best for spending holidays. The Naini Lake is surrounds by Seven Hills called Sapta- Shrings. Chopta is an amazing place with beautiful scenes and picturesque entire the Garhwal region. It is also known as Mini Switzerland in the Garhwal region of Uttarakhand State. Chopta is situated between the Gopeshwar and Ukhimath, its 40 km far from Gopeshwar, it is comes in the Rudraprayag districts of Uttarakhand state. It is located at the altitude of 2000 mt from the sea level. It gives various breathtaking views Himalayan Peaks and surroundings. Chopta is one of the most pictorial spot entire the Garhwal Region. On the basis of Group C or “Samuh G” combined recruitment exam- 2011 the group 27 written exams was held on 24 Feb 2013 at all centers in Uttarakhand. Now The Answer key of Group 27 written exam is released. 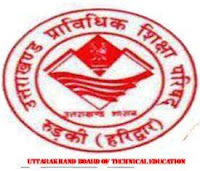 The Exam was held by Uttarakhand Board of technical education Roorkey on the behalf of Uttarakhand government. You can find the answer key of this exam on given below links. Dhanolti is an amazing hill station in Uttarakhand, it is one of the best travel destination located between Mussoorie and Chamba roads, at the elevation of 2250 mts above the sea level. It comes as a nice surprise for the travellers, who want to find peaceful and relaxing place. Dhanolti is very away from cities crowd, busy life and pollutions. It is situated in the forest of Deodars, oaks and rhododendrons. It is the best place for peace and relaxes to mind and body. You can also see here the view of Himalaya Mountains with snow capped. The weather of Dhanolti is always very lovely and cool. Fabulous view of snow-capped is makes an ideal retreat for peace and relaxed holidays. The dates of Char- Dham Yatra 2013 has been is announced, you can check here on this link about Char- Dham Yatra. Char- Dham Yatra(Badrinath, Kedarnath, Gangotri, Yamnotri) is a holy trip in Uttarakhand. Char- Dham Yatra is very holiest tour in India. The Char- Dham Yatra mainly takes 10-12 days by roads transport and if you want to do this holy trip in 4-5 days then you have to take helicopter for this trip. Rishikesh is well known place in India situated in Dehradun District of Uttarakhand. It is located on the bank of holy river Ganga. There are so many temples and ashrams in Rishikesh which are associated with many mythology and historical background. Rishikesh is also starting place of the holy trip Char- Dham Yatra. The holy dip of the Ganga river water is capable to wash the sins of the peoples. The ancient name of Rishikesh was Kubjamark and Habshikesh. Rishikesh is also known for holiest and sacred city in the India. Rishikesh is the point Between Hills and Plains area, after the Rishikesh the plains area is start. Mussoorie is the amazing place for tourist and honeymoon couple. It is located in the foot of the Himalayas in Dehradun district of Uttarakhand state. It is also known as queen of hills. Mussoorie was well decorated by the British. We can also say it a marvelous hill resort. 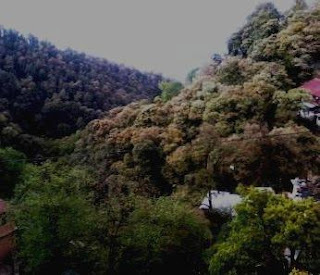 Mussoorie is situated at the elevation of 6500 ft from the sea level. The sunset in the Mussoorie is so amazing, so dazzling that cannot be express in words. The Mall is the main market and shopping center in the Mussoorie here you can buy many items like Tibetan metal ware, antiques, hand crafts walking sticks, many garments, hills jewelry, and many imported items .Mussoorie is also well known for academic studies, one of the great institute of academic studies is Lal Bahadur Shastri Academy in Mussoorie. The view of Mussoorie at night is very beautiful and amazing. Gangotri is also one of the sacred and holiest places in India, where the Bhagirathi River is start and come to the place where human live. The river is called Bhagirathi and when it meets another river Alaknanda in Devprayag then it comver Ganga. 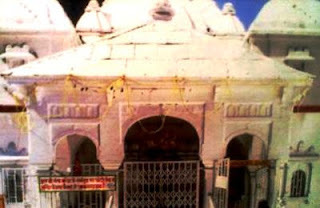 Gangotri temple is also one of the four Dhams (temples) in Uttarakhand. The temple is 18th century temple mostly dedicated to Maa Ganga one of the Hindu Goddess and it was built by Gorkha General Amar Singh Thata. The Gaga River mainly came from Gaumukh the Glacier. There are many of pilgrims and tourists visit this place every year. And another thing of interest is Trekking to Gaumukh Glaciers. Gangotri is situated in Uttarkashi District of Uttarakhand between beautiful and amazing hills. Gangotri is situated in the elevation of 10300 ft. from the sea level. The Aarti ceremony of Gangotri temple is really very impressive at evening time. Shri Badrinath Ji is one the holiest temples in India. And it is also one of the four Dhams in India and most important Dham from all the’ and ‘Narayan’ mountains ranges. The town is located at the altitude of 10350 Ft. from the sea level and the bank of Great River Alaknanda. 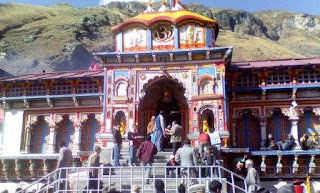 The Main attraction of Badrinath town is “Shri Badrinath temple”. It is dedicated to Lord Badrinarayan Ji who is also known as lord Vishnu in Hindu Religion. 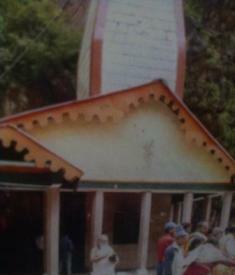 The temple was created or made by Kings of Garhwal between two centuries ago. Lord Vishnu is represented here in a meditative posture and shows relation between Nar and Narayan. According to legend, the temple was originally created by Adi Guru Sankaracharya which is also renovated many times after its establishment. And according some myths the temple was created by Pandavas when they were going for Swargarohini Satopanth Yatra.